APRIL 4, 2019 — ADAMSTOWN, PITCAIRN — The remote Pitcairn Islands group has been named the world’s newest International Dark Sky Sanctuary by the International Dark-Sky Association (IDA) today. This makes Pitcairn one of only nine International Dark Sky Sanctuaries on earth. 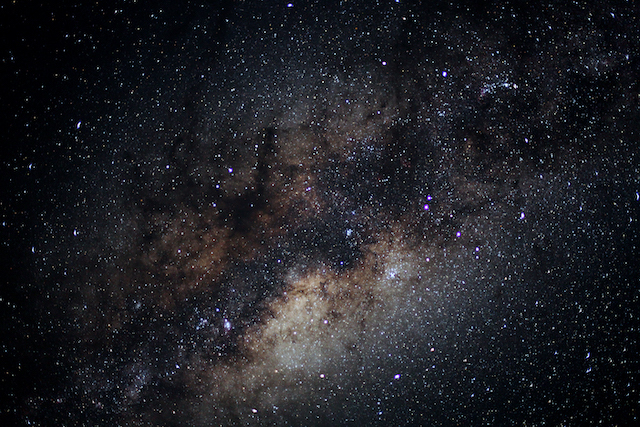 Notably, Pitcairn is the only island group in the world to be granted this status as well as the first British Overseas Territory to become an International Dark Sky Sanctuary. Pitcairn’s International Dark Sky Sanctuary, named Mata ki te Rangi which means “Eyes to the Skies”, spans all four islands in the group (Pitcairn, Oeno, Henderson, and Ducie) and covers a total area of 520,000 square miles. This International Dark Sky Sanctuary designation means everything in the world of night sky conservation and Astro-tourism. Thus, Pitcairn is preparing for an increase in Astro-Tourists with the training of local night sky guides and enactment of new anti-light pollution guidelines to maintain its crystal-clear night skies. In keeping with the IDA’s mission to stop light pollution around the world, today’s announcement has strengthened Pitcairn’s commitment to protecting one of the planet’s most remote and pristine multi-island environments for generations to come. The Pitcairn Islands group first made news in the conservation world in 1988 when its largest island, Henderson, became a UNESCO World Heritage Site–securing the protection of its 10 endemic plants and 4 land birds. More recently, in 2015, the United Kingdom declared the waters surrounding the Pitcairn Islands as the largest protected ocean area in the world. Today it remains the third largest Marine Protected Area in the world. 2019 also marks the launch of Pitcairn’s new ship, The MV Bravo Supporter. This new shipping service will offer 21 round-trips annually between Mangareva, French Polynesia and Pitcairn. This is up from 12 trips in 2018 and will provide visitors with greater access to Pitcairn than ever before. For those looking to visit the world’s newest International Dark Sky Sanctuary, Pitcairn Islands Tourism has just announced an 18-Night Explorers Voyage in October. Limited to ten passengers, this tour will be the first of its kind to visit all four islands in the Pitcairn Islands Group and will offer travelers the opportunity to stargaze from multiple locations in the 520,000 square mile Mata ki te Rangi International Dark Sky Sanctuary. Located between New Zealand and Peru, Pitcairn is home to the descendants of the legendary Bounty mutineers. It is one of the most remote and undiscovered tourism destinations in the world. Located deep in the heart of the South Pacific, more than 310 miles from its nearest populated neighbor, the Pitcairn Islands have amongst the world’s clearest oceans and night skies in the world. With a total population of 50 residents, the island’s pristine environment both underwater and above water remains impressively intact. This new International Dark Sky Sanctuary designation will provide intrepid travelers with yet another compelling reason to visit this fascinating and remote destination. For more, visit http://www.visitpitcairn.pn. High-resolution images are available for download via Google Drive here.